As a cyclist, Cleveland never disappoints me. After waking at sunup at Clifford House B&B in Ohio City, I rode over to the flats to see if, by chance, the Ohio City Bicycle Co-op - which may still have some of my artwork on display there - was open. It wasn’t, but the bridge that had been under construction for my last two visits to Cleveland, had been finished. After a great breakfast at Clifford House I decided to ride again while my wife went off to do some sketching. 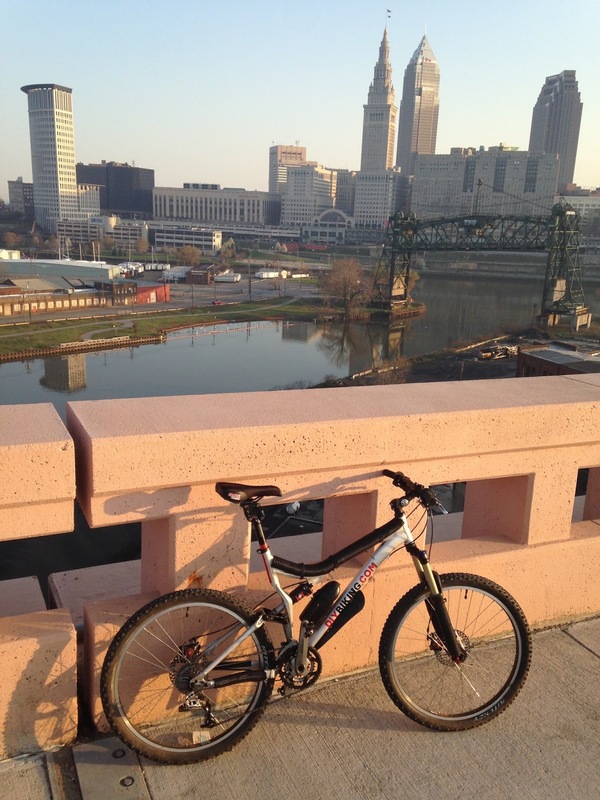 I rode around aimlessly and eventually found a spot I had ridden to the first time I had come to Cleveland. 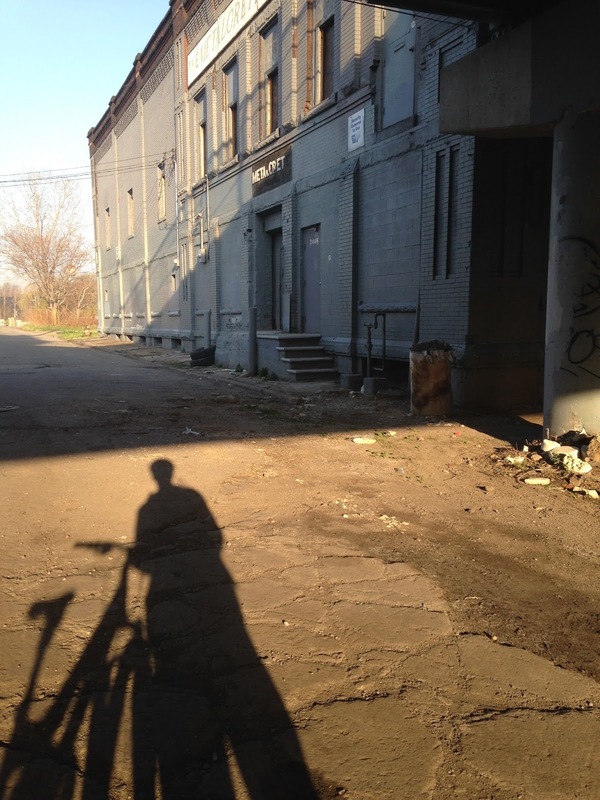 Cleveland has its decay, but it feels like it is getting harder to find each time I visit. As I closed in on 10:00am, I began to feel a bit down since I knew I not only wouldn’t ride in Cleveland again for a while, but that I was missing what would have been my eleventh Five Boro Bike Tour - which was going on this very day at that very moment. I passed West Side Market and turned right past Nano Brew (which does burgers a whole lot better than In-N-Out, incidentally) and nearly collided with a huge mass of people who were standing in the street with bicycles. There was a lot of buzz and happy chatter among the individuals and families who were gathered. 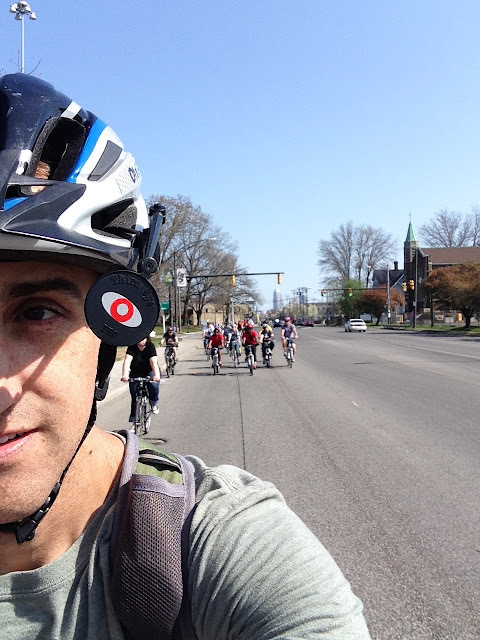 I asked a fellow rider what was going on, and she gave me a brief rundown of the ride: it was a ‘Bike Awareness Ride’ organized by Bike Cleveland and it had a four mile and a ten mile route. It was to start at 10:00. I looked at my watch. It was 9:59. I had one minute to fill out the registration form. 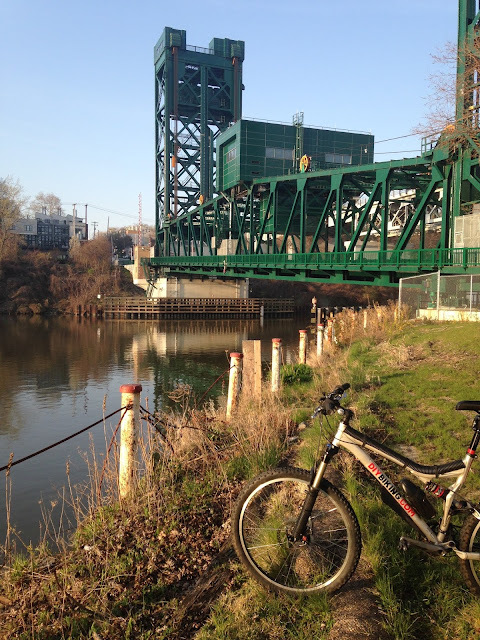 I only got to do about twenty minutes of the ride, but I did have a chance to feel the cycling energy that only Cleveland has and ride with a fun group of eclectic strangers. It made me grin from ear to ear and made up not going to the Five Boro Bike Tour. Thanks, Cleveland. We’ll meet again.